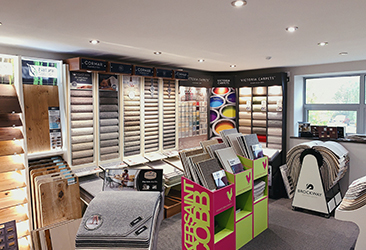 We understand that choosing flooring for your next project can be a touchy-feely kinda thing so we're very excited to announce the refresh of our upstairs boutique showroom at our Guru HQ in Aylesford, Kent. 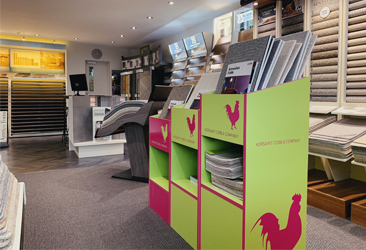 With a re-thought floorplan and stand layout we've been able to fit a larger portfolio of products inside to display, without the compromise of walkway space. We can go toe to toe with the "pile it high, sell it cheap" retailers as we have 1,000s of square metres of carpet in our warehouse but where we really stand out is if you are looking for something a little exciting, something that Mrs Trellis from number 32 won't have spotted in her local "normal" retailer. Flooring couture is our speciality and creating flooring envy comes as second nature to us. What products do you have on display? I want to visit! What's your address? We operate everything from our warehouse in the New Hythe Business Park which is on Bellingham Way. 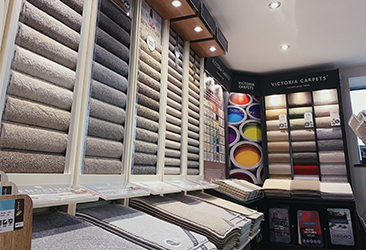 Pop through the front door and you'll be directed upstairs to our showroom where a cup of tea or coffee will follow behind shortly with one of our Gurus to help you with your visit. IMPORTANT: We strongly recommend using either Google Maps, Apple Maps or Waze as these will direct you straight to us. Older TomTom/Garmin Sat Nav units, if not updated to 2018 maps, will not direct you correctly to our address. Click here to load up our address in a navigation app of your choice!